The adventure begins in London on Tuesday, October 1st, 1872, when rich British gentleman Phileas Fogg gets in an argument with a group of friends. 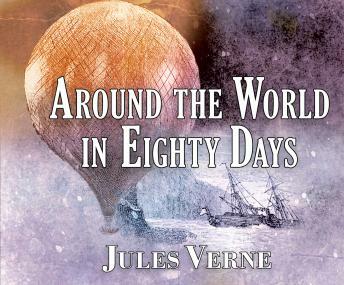 He enters a wager that sets him on a race to make it around the world in eighty days. Although the trip begins as planned with his valet Jean Passepartout, he is quickly mistaken as a bank robber by Scotland Yard detective Fix. Now being pursued on his journey, Fogg must quickly travel in order to win the wager, see the world, and avoid being apprehended for a crime he did not commit in the ultimate adventure story.